The NBA season has started with a bang and the opening night shoes for three of Nike’s biggest stars have finally dropped online. 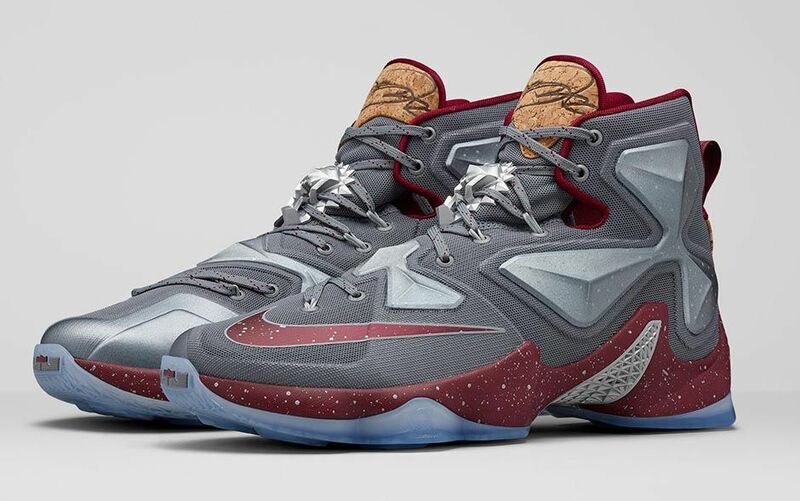 The first is a special edition sneaker for LeBron James, initially known as the ‘Cork and Wine’ colorway. The shoe features the celebratory cork material on the tongue, with maroon accents elsewhere to both emulate wine and match the Cleveland Cavaliers jerseys. A lion lace lock further adds to the extravagance of the model. 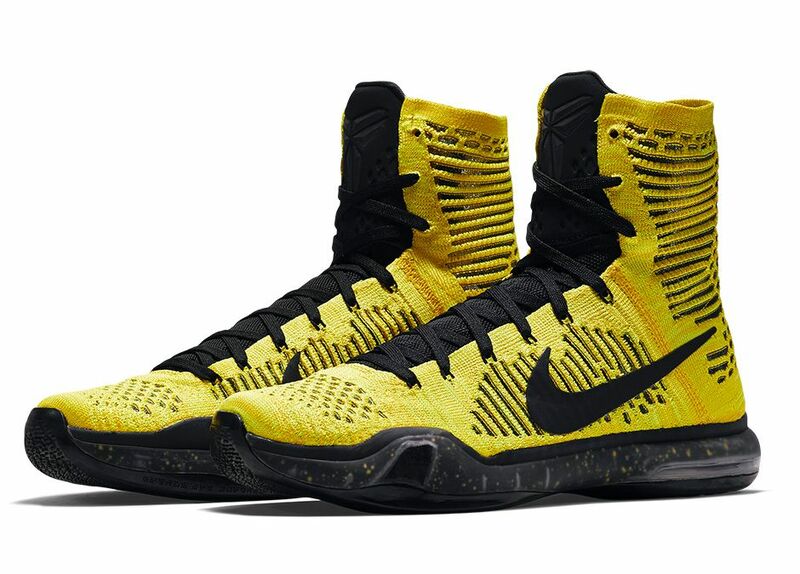 The next shoe is a Kobe X Elite model that is fairly simple with a yellow Flyknit upper and touches of black throughout the rest of the shoe. 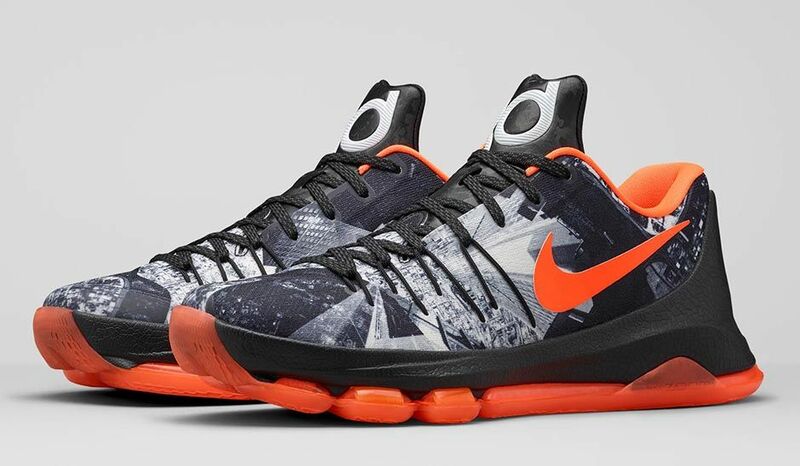 The KD 8 is also simplistic, with orange touches on the outsole and swooshes, and a skyscraper view graphic on the upper in grey and black. You can purchase any of the shoes in the Nike Basketball ‘Opening Night’ pack at the retailer links below each image.